Under the formula he suggested, of the 28 Lok Sabha seats in the state, the Congress should get 18 seats and the JD(S) 10 seats. No seat has been earmarked for Mayawati, who is Mr Kumaraswamy's ally in the state. The sharing of Lok Sabha seats between the Congress and HD Kumaraswamy's party for this year's general elections should be on a 2:1 formula, Danish Ali, one of the senior leaders of the Janata Dal Secular said today. The larger share should go to the Congress, said the leader, who was one of the key interlocutors when the two parties forged a post-poll alliance in Karnataka in May to keep the BJP out of power. "Friendly fight on any seat should be the last option... The Congress and the JD(S) should steer clear of it," Danish Ali said. Mr Ali's remarks come amid reports of friction between the local leaders of the two parties. The JD(S) leaders, complaining about the "big brother" attitude of the Congress, had asked the party brass to contest all 28 seats. But party patriarch HD Deve Gowda had stepped in, assuring that the seat sharing process will be smooth. 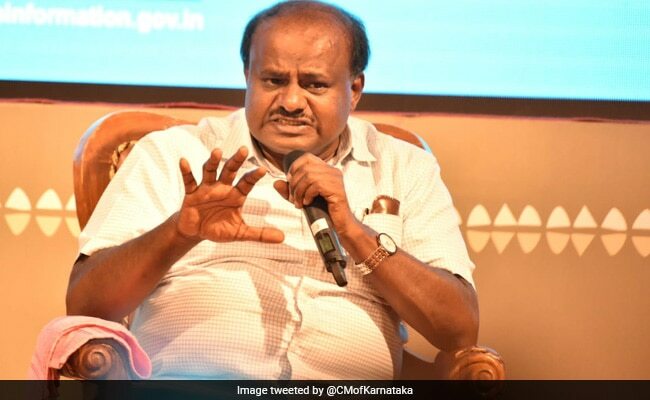 "Let there be no unnecessary confusion regarding sharing of Lok Sabha seats...Kumaraswamy has expressed his opinion about JD(S) contesting from 12 seats, we (the Congress and the JD(S)) will sit and decide, we will do the seat sharing smoothly," Mr Deve Gowda was quoted as saying by news agency Press Trust of India. The formal discussions, he indicated, would be finalised by January 15, as Parliament session will continue till January 8, Mr Deve Gowda had said.